I’m happy to be back at the helm for yet another release by Calysto Bourne. 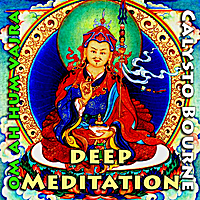 He’s a great meditation and mantra chanting artist who is creating some really awesome tracks. Especially for those who need some serious relaxation time. He’s asked me to continue in my capacity as producer for the latest project that is now available on iTunes, Amazon and other digital services. This is another one hour chant designed to draw you in, and bring you to a deep state of relaxation. If I’m not mistaken and Calysto doesn’t get bummed about it, I believe there are 4 more one hour chants coming in the future – to complete the series. Go get “Om Ah Hum Vajra Guru Padma Siddhi Hum (Deep Meditation)” and get your soul in peaceful shape.